Beer lovers, it’s time to get excited! 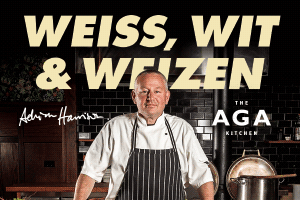 Adrian Harrison, head chef for The Brewery, beer & cider connoisseur and beer writer, will host a series of beer tasting and food matching events in the AGA Kitchen. We kick off with the first event on Tuesday 14 June at 6pm with “Weiss, Wit & Weizen” which will take you to the world of wheat beers from our own Cassels & Sons range and cellars from around the world. Adrian has matched six examples with a three course menu created for this occasion. Home brewers and aspiring cicerones – this is your night to meet the makers and learn from the experts: Daniele Danesin, our ‘imported’ brewer from Northern Italy who concocts Cassels & Sons’ wheat beer extraordinaire, will share some pearls of his brewing wisdom. Daniele bring the same passion to his brewing that saw him medal at multiple rowing world championships and compete successfully at the London Olympics for his home country. Secure your ticket by emailing to [email protected] or calling 03 389 5505 between 10 am and 5pm. Or get your tickets directly at Tomahawk Bottle Store at The Tannery, $49. This is an R18 event. Proof of Age may be required. Limited tickets available.